It is obviously a matter of preference as to whether you like online casinos or sports betting with both having their unique charms. The differences are obvious between the two, one you are gambling money against the casino, while the other is betting on the results of sports matches or events. Casino gambling generally has set payouts (unless you are playing progressive games) and % of all money going into a certain game, like slots, is paid back to the player. Sports betting you stand to lose more if your bet doesn’t win because there is no safety net like at a casino when they may pay out 95% of everything gambled. For instance if you back a short priced favourite in the AFL and they get rolled you lose all of your money. Online casinos are great for new punters, beginners or those who want to have a bit of fun and experiment with different forms of gambling because they have such a wide array of games and services to offer. So where do you begin? One of the great draw-cards online casinos have to offer are their sign up bonuses and continual promotions. Sign up bonuses can differ greatly from casino to casino and can include matched deposits, free spins, free credits and more. JackpotCityCasino.com for instance, offers up to $1600 in combined sign up bonuses while sites like RoyalVegasCasino.com and GdayCasino.com offer combined sign up bonuses of up to $1200 for new customers. But the bonuses don’t just end when you have initially signed up. Check each online casino regularly for their advertised promos which can range from matched deposits to free spins. One of the great selling points for online casinos can also be a little overwhelming at first because the number of games on offer at your average online casino can be staggering. There are table games like roulette, baccarat, blackjack, pontoon, casino war, craps, three card poker, Caribbean stud poker and pai gow. Some table games can even be played as either a Random Number Generated, computerised game or as a Live Dealer option. On top of that you can indulge in scratchies, bingo, pokies, including progressive jackpot online slots too. 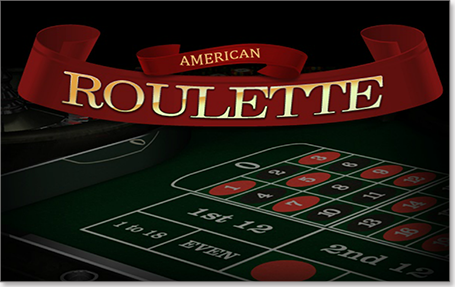 With this wide range of games it caters to all gambling types from beginner to advanced and everything in between. You can start with online pokies and move on to some of the easier table games to some of the more advanced and complex table games. Online casinos have a mind blowing amount of games: SlotsMillion.com boasts 855 games while sites like RoyalVegasCasino.com and 32Red.com have more than 500 games each. Each of our sponsored casinos are accessible via mobile phones, however the number of games available to play via mobile is only a fraction of the games available to play online. However sites like RoyalVegasCasino.com have an app available to download directly from their site, making accessing their range of mobile games simple and convenient. If your preferred casino doesn’t have an app you can still access their mobile games by logging into the site through the internet browser on your phone and play from there. Sports betting is more for intermediate to advanced punters because it requires a lot of general and specific sporting knowledge to be successful. You need to be well versed and aware of a wide range of different sports. What is the recent history of a certain team? Do they have any injuries? Are there any off-field dramas at the club? What surface is the game being played on? Or in the case of horse, dog and trot racing, how long is the race? Is your pick good over that distance? What is your pick’s recent form? Has it been raining? There are so many variables when it comes to sports betting, but a little knowledge can go a long way. Sign up bonuses may not be as prestigious for sports betting sites in comparison to their casino counterparts but they are still very generous. WilliamHil.com.au, for instance, offers up to $700 in matched free bets upon signing up while SportsBet.com.au offers up to $501 in matched free bets to their new customers. There is one catch though when it comes to sign up bonuses for sports betting sites in Australia, because each state has different laws regarding gambling promotions. Residents of Victoria, New South Wales, South Australia and Western Australia aren’t eligible for the free bet promotions. On top of their sign up bonuses all of our promoted sports betting sites regularly offers promos like improved odds or cash back on certain bets if they lose. Not only do most sports betting sites cover all sports and racing in Australia, but they also offer markets on international sporting competitions, horse and trot races. You can even bet on the outcome of some popular reality television shows and politics. Again, check each site for their wide range of options. Each of our promoted sports betting sites offers both an iPhone app and an Android app. These apps offer the same range of betting markets available via their online sites. Unlike mobile versions of online casinos, when accessing the mobile version of sports bookmakers, you lose very little to no options which is great news for punting on the go. We love them both at BestOnlineCasinos.net.au. If we had to pick we would probably choose the blackjack tables over punting on the nags but both have their charms. The fact you can improve your chances of winning by using smart strategy when playing at a casino is a huge benefit. In sports betting, even if you have previously followed a team or sport, if you don’t know the current form lines and back stories you will struggle to back a winner. For instance in AFL if you are betting on a team missing their two best midfielders or highly influential forward you should think twice and if you haven’t done the background you should.